10 A None No Power Seat 10 A is a standard Economy Class seat that has restricted legroom. The proximity to the lavatory and galleys may be bothersome. 10 B None No Power Seat 10 B is a standard Economy Class seat that has restricted legroom. The proximity to the lavatory and galleys may be bothersome. 10 D None No Power Seat 10 D is a standard Economy Class seat that has restricted legroom. The proximity to the lavatory and galleys may be bothersome. 10 E None No Power Seat 10 E is a standard Economy Class seat that has restricted legroom. The proximity to the lavatory and galleys may be bothersome. 10 G None No Power Seat 10 G is a standard Economy Class seat that has restricted legroom. The proximity to the lavatory and galleys may be bothersome. 10 H None No Power Seat 10 H is a standard Economy Class seat that has restricted legroom. The proximity to the lavatory and galleys may be bothersome. 10 J None No Power Seat 10 J is a standard Economy Class seat that has restricted legroom. The proximity to the lavatory and galleys may be bothersome. 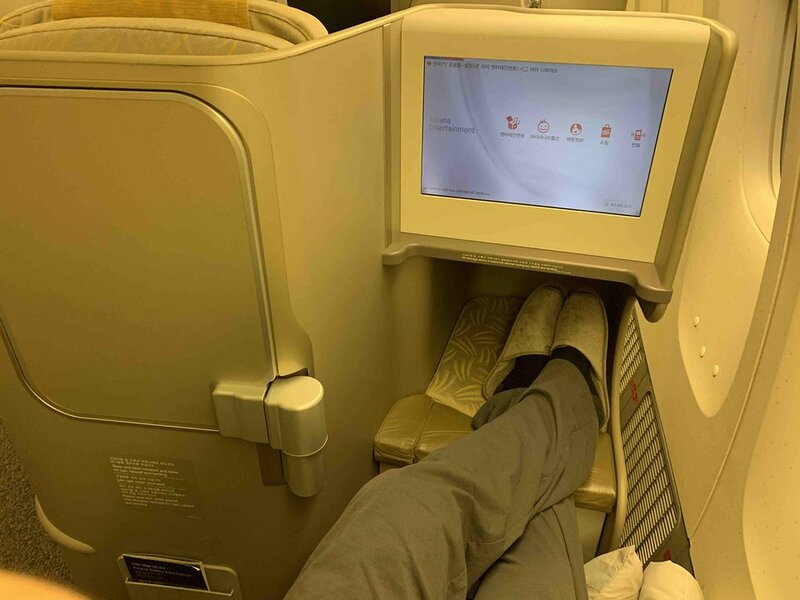 10 K None No Power Seat 10 K is a standard Economy Class seat that has restricted legroom. The proximity to the lavatory and galleys may be bothersome. 27 C None No Power Seat 27 C is a standard Economy Class seat however, other flyers tend to bump into this seat. 27 H None No Power Seat 27 H is a standard Economy Class seat that may have limited recline. The proximity to the lavatories may be bothersome. 27 J None No Power Seat 27 J is a standard Economy Class seat that may have limited recline. The proximity to the lavatories may be bothersome. 27 K None No Power Seat 27 K is a standard Economy Class seat that may have limited recline. The proximity to the lavatories may be bothersome. 30 B None No Power Seat 30 B is a standard Economy Class seat that has extra legroom due to the exit in front. The proximity to the lavatories may be bothersome. 30 J None No Power Seat 30 J is a standard Economy Class seat that has extra legroom due to the exit in front. The proximity to the lavatories may be bothersome. 6 A None No Power Seat 6 A is a standard Business Class seat that has a misaligned window. 6 K None No Power Seat 6 K is a standard Business Class seat that has a misaligned window. 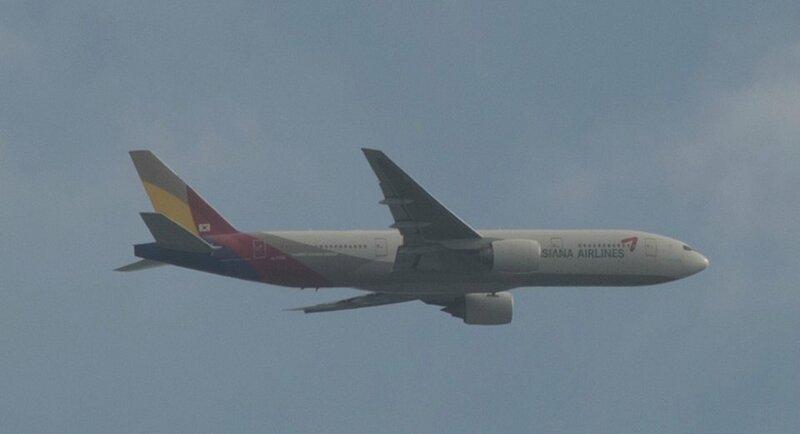 This version of Asiana's 777-200ER is outfit in a two cabin configuration with Business class and Travel class seating, totaling a capacity of 295 passengers. The 777-200ER is optimized for long haul routes. All D seats in Economy have an entertainment box underneath them. This reduces room for your feet by 50% and makes it uncomfortable to fly for long-haul like the 11 hour flight I flew. Seat Guru needs to update the information it provides about this plane. The entertainment box under the seat takes up half of the underseat space. My feet side by side did not even fit under without going into the space of the next seat. If you are tall, A, and D seats are not for you! The AVOD system is in need of an update, 6.5" screens and not much selection. Entertainment box under the seat in front, causing lack of legroom. Flew on this type of seat before but never submitted a comment. The seats a completely flat and you have your own cubicles which gives you enough privacy (they call it Smartium) unlike their older business class seats. Service and food are great with Asiana as always. AVOD is ok, nothing great and selection could be a bit better. The economy seats do have sufficient leg room for Economy class. The 6.5" AVOD system does have boxes on the foot of the C, D, & G seats to take away leg space. Overall I appreciate Asiana has chosen to keep the 3-3-3 configuration, since I'm sure to avoid other airlines unless it's a Airbus 380. The food was great, the entertainment selections was good, and a love how the flught crew all bows when starting their service at the beginning of the flight. This airline wins awards for good reason! The AVOD system has a box at the foot of the seat in front causing lack of space for leg room. There was no foot pad on this older craft with 6.5" AVOD system instead of a 10.5". LAX to ICN was 12+ hours. Our ICN to MNL leg was a 777 v4 which was much nicer and more comfortable 4 hour trip.